synopsis (EN) The beloved and critically acclaimed LEGO® Star Wars franchise is back and coming to homes around the world in 2011. 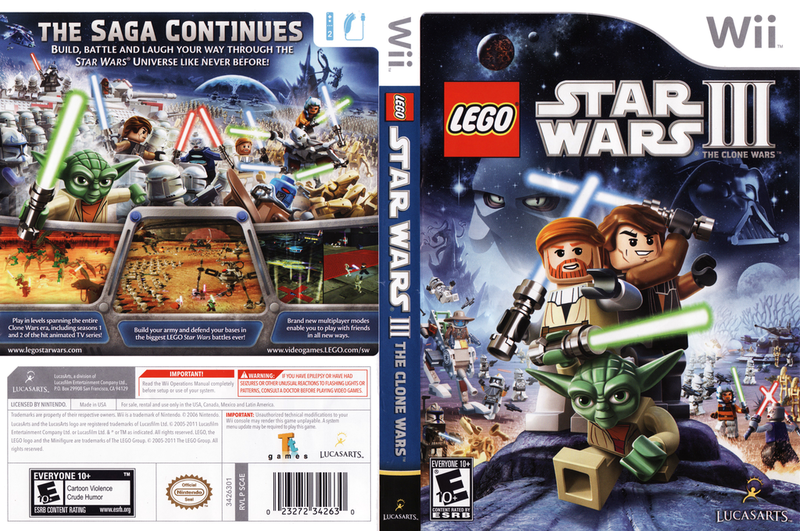 The third sequel, LEGO Star Wars III:The Clone Wars, combines the epic stories and iconic characters from the Star Wars universe and hit animated TV series Star Wars: The Clone Wars with all new gameplay features. synopsis (ES) ¡La batalla por las piezas adquiere nuevas dimensiones! Esta tercera entrega, LEGO Star Wars III: The Clone Wars, combina nuevas características y funciones con las historias épicas y los personajes icónicos del universo de Star Wars y de la exitosa serie televisiva de dibujos Star Wars: The Clone Wars.